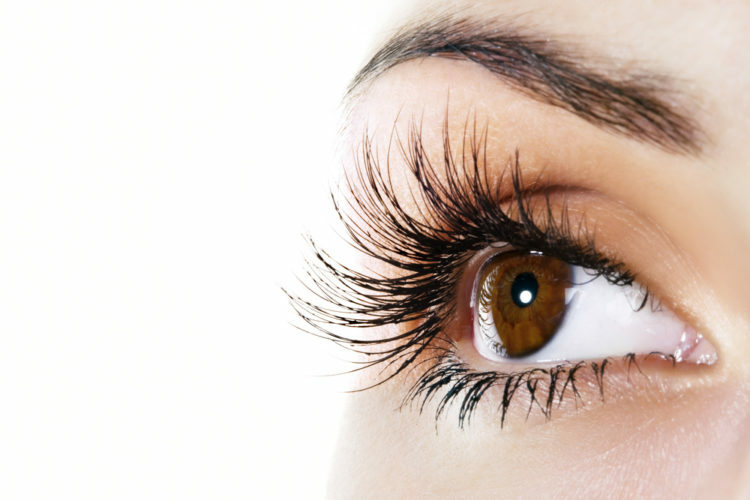 What is Lash Lift & Why offer Lash Lift Treatments? So many experienced lash technicians are looking to expand the services they offer to meet the needs of their growing client bases. Many have clients who just don’t want or can’t afford the upkeep of lash extensions, then there is those clients with stunning long natural lashes that just need something more. Some lash techs are approached by mature ladies looking for eyes that pop without going over the top and others have one-off clients seeking an eye enhancement treatment e.g before a holiday or wedding. The answer is Lash Lift! Lash lift is very similar to the lash perming from back in the 80’s with one vital exception. Instead of a roller, a silicone shield is used which lifts the lashes and resets their ‘curl’ to show off the full natural length of the lashes and really open up the eye area, rather than creating those deep curls of old as you’d have with a perm. Lash lift essentially gives you that long, luscious lash look you’d create with a really good mechanical lash curler but without the need for such tools meaning no stress on the lashes and no premature lash loss or breakage. The treatment takes around 45-60 minutes in total (including lash tint, which is recommended along with the lash lift process to also darken the natural lashes for maximum effect). The results are eye opening and can last from 2-8 weeks dependent on the existing condition of the client’s natural lashes and the degree of lift created. Unlike lash extensions where clients must take constant care when cleansing their face, in humid environments, when sleeping etc. lash lift is maintenance and worry free. Simply avoid getting lashes wet or using eye make up for the first 24 hours after treatment but beyond that entirely normal routines can resume. Morning wake ups are easy as lashes look fab and many clients find they do not even require mascara if also tinted as well as lifted. The treatment is relatively easy to learn and master (with practice beyond training), results are immediate and product costs are minimal so profit margins are high with prices typically from £25-£45 for lash lift & tinting dependent upon the area within which you are working. Products are not working – correct storage of products is key. Lash lift products are most often sold within small sachets simply because bottle based products tend to lose their efficacy before all product is used and so do not end up being cost effective. A common misconception is that the sachets are single use only. This is wrong! Sachets can be resealed with tape and stored upright within an airtight container or zip lock bag to extend the effective lifespan of the product for up to 2 weeks from day of opening. Store at room temperature out of direct sunlight. It is when products are exposed to the air that they start to go off and lose effectiveness. Only have products open when needed for use, keep your airtight container on your treatment trolley taking out each product only as you need it during treatment and only for as long as you need it, resealing and storing immediately once finished being used. Mobile techs should only take with them the products needed and keep any additional product at home to ensure correct storage and avoid product wastage and spoiling. Technical reasons the client’s lashes are just not lifting – this could be one of several things which you will need to pinpoint. You may be using too much adhesive on the shield to stick lashes to the shield. This can get in the way of the products working effectively on each lash. Ideally use only a small amount of adhesive sticking only the top of the client’s lashes to the shield rather than the full lash length. You may be applying too much perming or setting solution or applying it all over the lashes. More does not equal better, apply product from the root up to about a third of the way up from root to avoid over-processing the lashes (which may make the go fluffy or even deeply curled). Alternatively you may be leaving solutions on for too long or too little time. Use a stopwatch timer if you must to ensure solutions are on for the full manufacturer’s recommended timings (or adjusting within the recommended range dependent on the condition of client’s natural lashes). Finally shield size is key – most client’s need only a small or medium lash shield. Bigger will often give the lashes more of a soft rounded curl whereas smaller will give a sharper lift but selected size should mirror client’s eye shape, size, lash length and the look desired. Tweak these variables where you identify problems arising and you should find you achieve much better results. Client reasons that may cause client’s lashes not to lift – hormones and medications which affect hair growth and condition are key to note in consultation, for example those in pregnancy will find results may not be as effective or last as long so it is important to manage their expectations. The growth cycle stage at which each lash is at for the client will affect results. Lash lift when most of the lashes are within the catagen (changing) stage is best as there will be minimal natural lash loss and minimal growth of lashes to grow out the last lift effect so results will last best. This can’t be controlled but is something to note with experience from observation of client’s lashes. Finally client’s lash condition and hair type will affect the result. Ensure you thoroughly clean lashes (especially important for those with oilier hair/skin) and consult well with those with dry/brittle lashes (who may be less suited to the treatment due to the chemical aspect). If you understand what you observe and the effect it will have on the result, you will be able to manage the client’s expectations to avoid disappointment and/or adapt the treatment for best effect.